Clients are postponing appointments or have stopped coming altogether to avoid the traffic backups on the bridges that connect El Paso and Ciudad Juarez. Some fear they’ll get stuck on the Mexican side of the border, he said. “It’s causing stress because you don’t know what’s going to happen, when they are going to issue an order” to shut down the border, Salazar said. Residents, business people and advocates working with immigrants are feeling the strain amid President Donald Trump’s threats to shut down the border, a threat he relented on Thursday, saying was giving Mexico a “one-year” warning to deter migrants heading to the United States and control the drug flow. While the president’s threats have loomed, including imposing tariffs on cars that Mexico exports to the United States, the administration has reduced staffing at ports of entry, closing lanes to cross-border traffic and slowing the inspection process in response to hundreds of migrants arriving daily to the El Paso-southern New Mexico border area. On the Cordova Bridge of the Americas, a window washer, who was wiping the windshield of a motorist waiting on the bridge heading into the United States, said the slowdown has hurt his business even though traffic is stalled longer. “People are mad,” he said, before darting back appeal to other drivers. A vendor selling elotes (roasted corn sprinkled with Mexican cheese and chile spice) said he, too, was not getting more business from the slowdown. “They wait, but they don’t eat,” he said, not wanting to be named. Customs and Border Protection Commissioner Kevin McAleenan said at a news conference in El Paso on March 27 that the agency would shift 750 Customs and Border Protection workers from jobs inspecting regular cross border traffic and trade to dealing with the influx of men, women and children coming across the border. He warned then that would lead to a slowdown in trade, traffic and pedestrian flow. 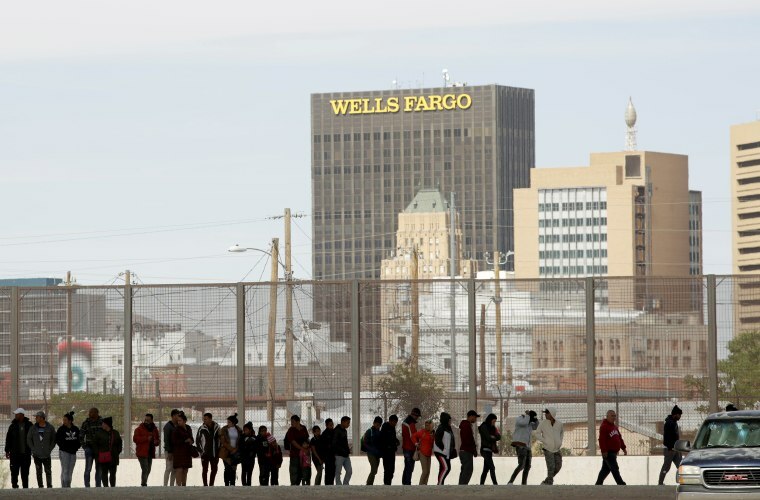 The president’s actions have had a chilling effect, said Jon Barela, CEO of The Borderplex Alliance, a nonprofit representing businesses in El Paso, southern New Mexico and Ciudad Juarez. “I’ve received multiple calls from concerned business members of our organization of how this shutdown threat has in the short-term affected their businesses and in the long-term how it would be devastating to their business,” he said. Jeff Mosely, president and CEO of the Texas Association of Business, said its members are “very, very concerned” about the slowdowns and potential shutdowns. Mexico is the United States’ No. 1 trading partner, totaling $616 billion in 2017, supporting more than 1.2 million jobs in 2015, according to the Office of the U.S. Trade Representative website. Pedestrians returning to the United States moved quickly Wednesday evening across the bridge, even though only one line was open at the port of entry and only one officer was checking passports. A few other officers were inspecting purses and bags and others were in secondary inspection. Deseray Pedregon, 31, of El Paso, said she had gone to Juarez for a hair salon appointment. “I was trying to come quick because I was scared it was going to shut down,” Pedregon said. Her sister drives across more frequently and had told her it was taking more than five hours to get back from Juarez, she said. Trump is demanding Mexico do more to turn back Central Americans who are traveling through Mexico to get to the U.S. border. 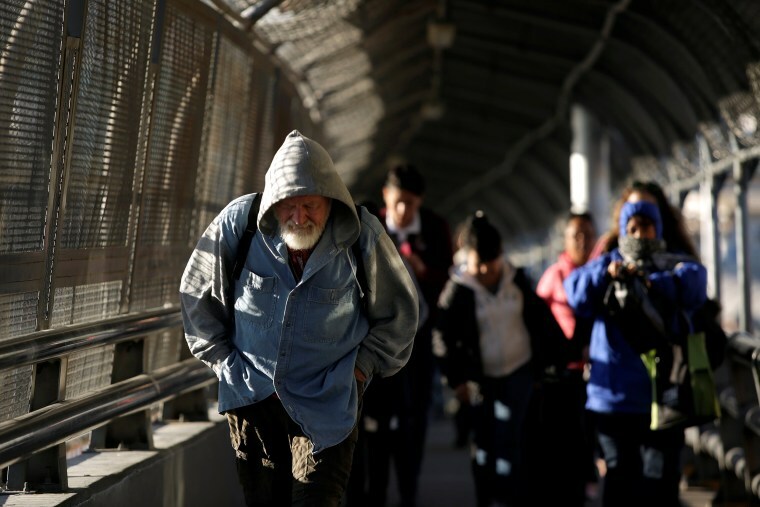 Asylum-seekers are protected by U.S. law as well as international laws the U.S. has signed, even if they cross the border without legal permission. The Trump administration has said migrants are exploiting the asylum laws to enter the United States. Advocates disagree and point to violence and political turmoil, corruption and poverty that is wracking Central America. They say the administration has created chaos on the border by closing off legal ports of entry to asylum-seekers and forcing them to cross the border illegally, thus increasing the numbers of people apprehended by Border Patrol. Because Border Patrol facilities aren’t equipped to handle migrant families, they’ve been releasing them into communities. For several days in El Paso, the Border Patrol fenced off an area beneath one of the city’s international bridges and kept migrant families there. That area has been cleared, but Border Patrol has set up tents near a CBP facility in another part of the city, according to reports. 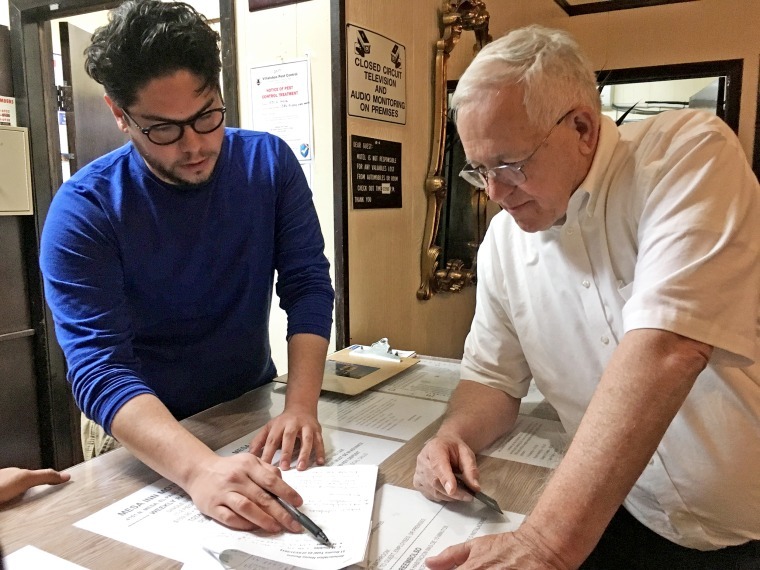 Rubén Garcia, founder and executive director of Annunciation House, had swiped a credit card for $17,619.68 a few moments earlier to pay for 62 rooms and a ballroom at the hotel. NBC News was permitted to speak to the newly released migrants on background and the condition that they not be named or identified. One man from Guatemala had been under the bridge with his 8-year-old son for five days. He had tried once before to get to the U.S. when his son was 6, but Mexico had deported him when he got there. But he earned too little working the fields to survive in his country, so he was trying again. Border Patrol is sending 600 to 700 migrants a day to Annunciation House and the network of shelters, too many to house at Annunciation House’s downtown shelter. Mike Ochoa, 67, who owns rental property in a neighborhood near the U.S. side of the international bridge, said he fully supports Trump’s actions on the border. Ochoa was born and raised in El Paso and his mother is an immigrant, who he said crossed the border “legally, waited her turn.” Ochoa said he never crosses into Juarez, but he has tenants who do because they have family in Mexico. A border shutdown, he said, “would put icing on the cake because then (Mexico) would see Trump means business,” Ochoa said. On Tuesday, CBP met with members of the trade community in El Paso and told them the Bridge of the Americas cargo facility will be closed on Saturday and the closure of the cargo facility will continue indefinitely. Tractor trailers and other commercial vehicles carrying goods from Mexico into the United States go through the cargo facility for inspections and document processing. The Bridge of Americas cargo lane is usually open from 6 a.m. to 2 p.m. on Saturdays and CBP agents generally process 350-400 trucks in that time. A cargo facility at another bridge will be open, but it’s likely to be congested with extra traffic. Texas and New Mexico business organizations say even without the shutdown, the border and the U.S. already are feeling an economic impact. Angel Flores and Javier Heredia are part of that U.S.-Mexico economic interchange. They told NBC News it took them nine hours Wednesday to get the produce they were delivering from Ciudad Juarez to El Paso. Before now, getting across took about an hour or two, Heredia said. In the past they would make three trips across. Now they only make one. “It slows you down a lot. Imagine it. We arrive at 3, 4 in the morning and we cross at 4 in the afternoon,” said Heredia from the cab of his company truck as he and Flores headed back into Juarez in a line that moved far more quickly. “God willing, they won’t close” the border, Heredia said.